who named her neighborhood bistro after the Louis Malle film Zazie dans le Metro. 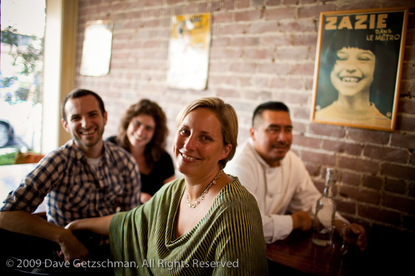 Specializing in American style brunches and Provençal dinners, Zazie quickly became a San Francisco favorite. 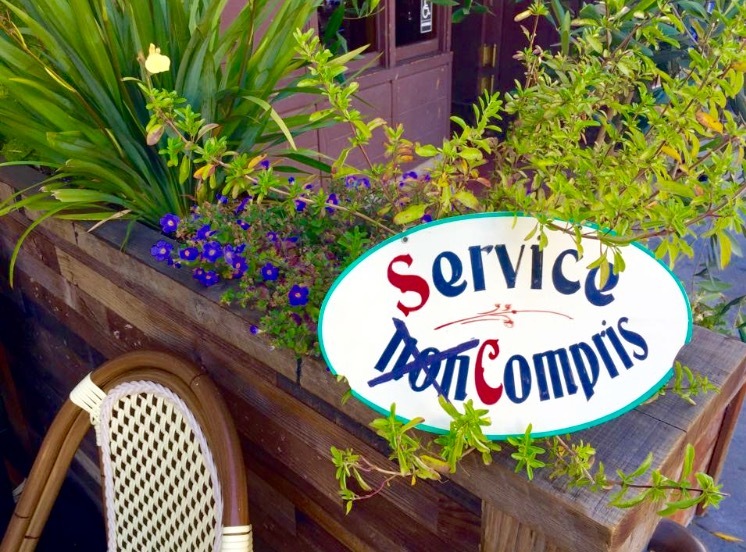 After five years as General Manager, Jennifer Piallat purchased the restaurant in 2005. Along with General Manager and Zazie employee of 17 years, Mario Rojas, Jen worked to change the transitory, under appreciated culture of restaurant work. Zazie now gives every staff member, including part time employees, the most comprehensive benefit program of any non-union restaurant, including fully funded health & dental insurance, paid sick leave, paid vacation leave, paid family leave, and a 401(k) with employer match. After ten years with these benefits in place, our 32 employees with an average age of 27 recently celebrated reaching over a million dollars in retirement savings! Zazie also spearheaded the Tip Free movement, taking tips out of the equation in favor of living wages and revenue shares for everyone. 25% of every menu item at Zazie is paid out directly to staff as revenue share, and no tips are expected. We are proud to have a family of hard-working, creative, dedicated staff with all the responsibilities and benefits of "real jobs." Thank you for supporting our work, and we hope to see you soon! Since her first job in her stepmother's restaurant in Nashville, Tennessee in 1989, Jennifer has worked every position in the restaurant industry from dishwasher to pastry chef, learning in that time the value of treating employees with the respect and appreciation that is too often lacking in the industry. ​Jen was awarded "Woman Entrepreneur of the Year- San Francisco" in 2010 by the Women's Initiative and is proud to be recognized by the Young Worker's United "Dining With Justice" award, for which she received a letter of commendation from California Majority Whip Fiona Ma. In 2010, Jen filed an amicus brief with the U.S. Supreme Court supporting "Healthy San Francisco" against a suit filed by the Golden Gate Restaurant Association. SF City Attorney Dennis Herrera credited the amicus brief as instrumental in the Court's refusal to hear the GGRA's petition. 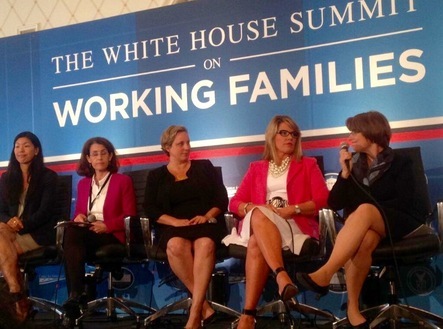 In 2014, Jen was invited to speak at the White House Summit on Working Families, hosted by President Barack Obama. Jen continues to support hourly workers' rights to a living wage, full benefits, and predictable scheduling in both word and deed, setting an example and offering free consulting to restauranteurs who are interested in learning about "high road" employment practices.